search for branding of soul and find a label that says unique. If you want to know what’s in then switch vision to xray. so look beneath what you see. and never too hot because embracing your emotions will leave a scald. then you will find no chaff in this man you have been sieving. Is supposed to, those things that cause the mind to blow up. what you need to do is travel into this character, search and you will find if only your walk is deep. And I’m so open, if my heart was a female and had a position, it would have been missionary. and I will script the phonetics in your dictionary. that will help you see, this advice is one that mortals never kept. but the brain can always cut through the transparent past and tap those nostalgic memories to wake. portraits and abstract but one mosaic depicts the crucifixion on calvary. an eye for an eye was then an eye for a kiss. like greats whose works and name have been caligraphed on life’s papyrus. the only difference was that we had better dreams because we came home to sleep the night away. experts in building these flying creatures so when it broke we could always fix. midget physique, so when we looked up, we went dizzy and we did fall. so we all had cain stripes like zebras in the wild. but stones and caution were thrown to the wind because we were God’s property. and because each group wanted to win we adopted a war-like technique. because our elbows had grease but none of my peers were Greeks. I was a local kid so I knew what was kontomire and pona didn’t know what was pizza. easter and Christmas conjured more eggs so there was a celebration. greeted each other, you could feel the serenity. we were both players and referees back then we didn’t know what was FIFA. It was with our barefeet because we had no trainers. and we worked ourselves up during the day so at night we slept like we had several pills of Valium. and the game for miniature parents then was, you remove my shirt and I take off your blouse. and if I knew this type of horn then, I would have called them vuvuzelas. You should see how my mom hopped back when she checked the content. we went on top of hills so our tyres could glide and those sticks were our steering wheel. play chaskele or dicos with Mick and Mahama and mock 6 year olds when they lose a tooth. Memories that I never want to forget and I will do it over and over and over again with no regrets. 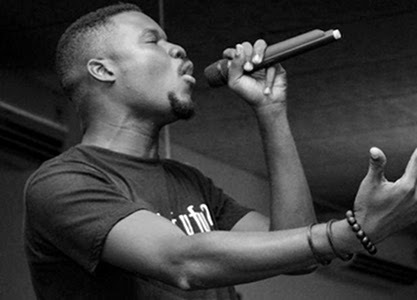 Mutombo Da Poet, a spoken word artist, emerged on the burgeoning alternative scene in 2006. This Ghanaian has since earned his stripes as an insightful, humorous and captivating performer across the nation. His new spoken word album is called Photosenteces.